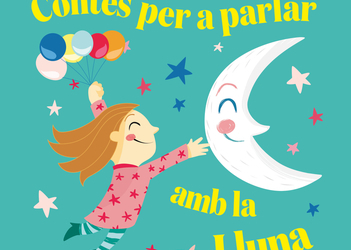 The Formentera Council's culture department reports that at 5.30 pm, Friday February 15, Biblioteca Marià Villangómez will host a family-friendly storytelling session with families and the librarian Joana L. Guirado from Biblioteca Vicent Serra Orvay on Eivissa. Formentera families are encouraged to come out for the event too, which will also feature artist Xènia Fuertes. Similar to what's already been done on Eivissa, the goal is to form a local group of parents of young children from zero to four and meet at 6.00pm on the first Friday of the month “to get-together and show the magic of storytelling to young ones”, said chief librarian Lilián Heinrichs. Xènia Fuertes will also be on hand for the thirty-minute sessions. “Friday February 15 parents from Eivissa will come to our library to show us what their storytime is like”, the librarian added. The initiative is about creating a gathering place for families where tots can cosy up to books and oral storytelling. The goal is to use the magic of stories to awaken an appetite for reading in children's youngest months.